I never realised how much we took knowing our emotions for granted. I can’t remember learning emotions, I can’t remember having to figure out what emotions suit what situation. If someone fell over, I knew that it was sad. If someone was being nice to me I knew to be happy. MO however doesn’t know this and is learning how to respond and how to express his emotions in a suitable fashion. When he was younger I remember SB falling down the stairs and hurting himself. BG was crying, SB was crying, Dad and I were rushing to make sure SB was ok, yet MO just looked saw what was happening and then looked back at the TV with no emotion. Later I asked how it made him feel, and he just said “I felt nothing, he fell, he was hurt, I wasn’t”. I explained why and how we all reacted like we did and thought nothing more of it. A few months later BG hurt herself and this time MO turned around and burst out laughing. Again I asked why he burst out laughing and he explained how he knew he was meant to react but didn’t know how. He has now progressed that when someone is hurt he is crying and very over the top about it. He is learning, he is figuring out what to do and how to respond and this shows his progress. He is constantly learning how to react to different situations, whether to laugh, cry or smile. Yet it was last month before I went away where I think he understood his emotions a bit more. 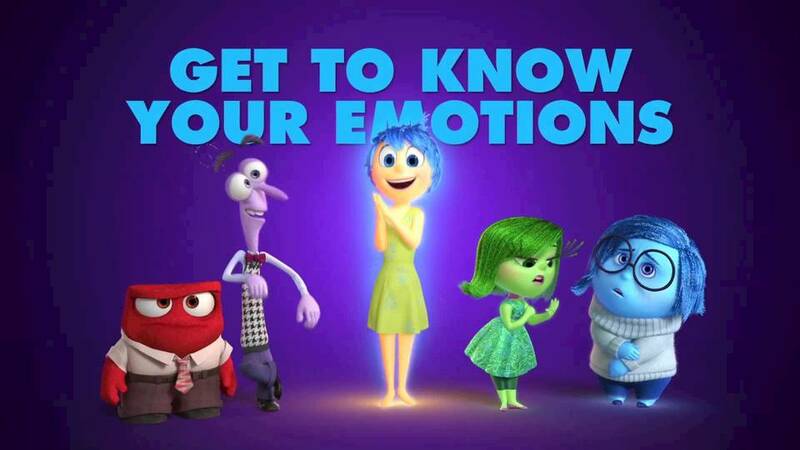 We were having a movie evening and the children decided to watch Inside Out, which in a sentence is about 5 emotion ‘people’ who control this little girl’s emotions from her brain, and how they learn to deal with different situations. I could write so many blogs on what this movie has taught my kids but today it is about MO and his emotions. As he watched the movie and saw these emotion people making the girl feel happy or sad or scared in different situations, the visual representation really seemed to work with MO. He was asking through out about why different memories and activities were being controlled by an emotion he wasn’t expecting. He learnt that you can be sad and yet happy. He learnt that it is ok to be sad and angry, as long as he deals with these emotions in a socially acceptable way, that hitting and screaming makes other people sad. He still has to work on his emotions, he still has to learn more about them but in this movie, it seemed to really make him think about his emotions. He now even says that the red angry person (from the movie) was who was in control of things and that he thinks the other people would have had their sad person in control of them while he was being angry. This he has never really understood. Looking at my boy, I now don’t take emotions for granted. I am glad that I understand the way I feel most of the time, I am so happy that I understand that my actions cause other people to be happy and sad. I am so grateful that I don’t have to work as hard as MO to learn what is pretty much basic human nature. MO teaches me things all the time, and he is keeping me on my toes.